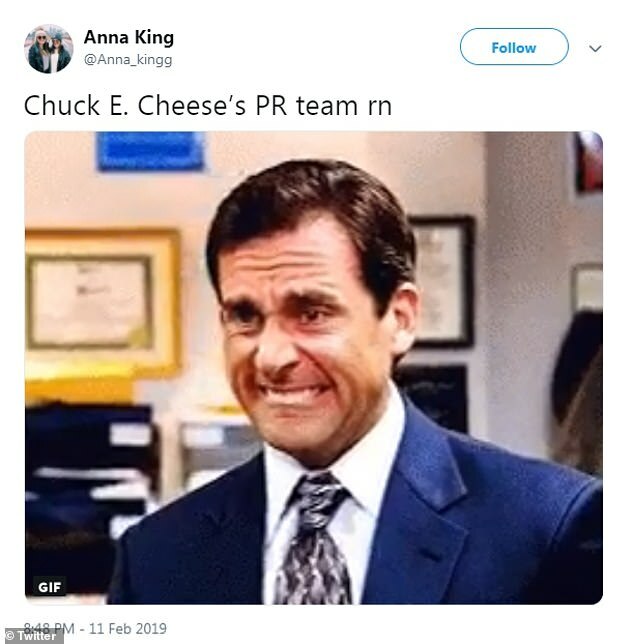 Chuck E. Cheese's, an American go-to party place for children's entertainment and pizza, has denied a disturbing conspiracy theory claiming its uneaten pies are recycled, reheated and served to new customers. 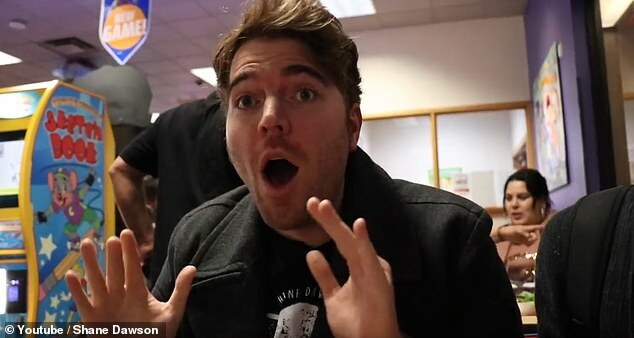 Famed YouTuber Shane Dawson, who has attracted well over 20million subscribers on his hit channel, released a viral video Monday sharing his longtime conspiracy theory. 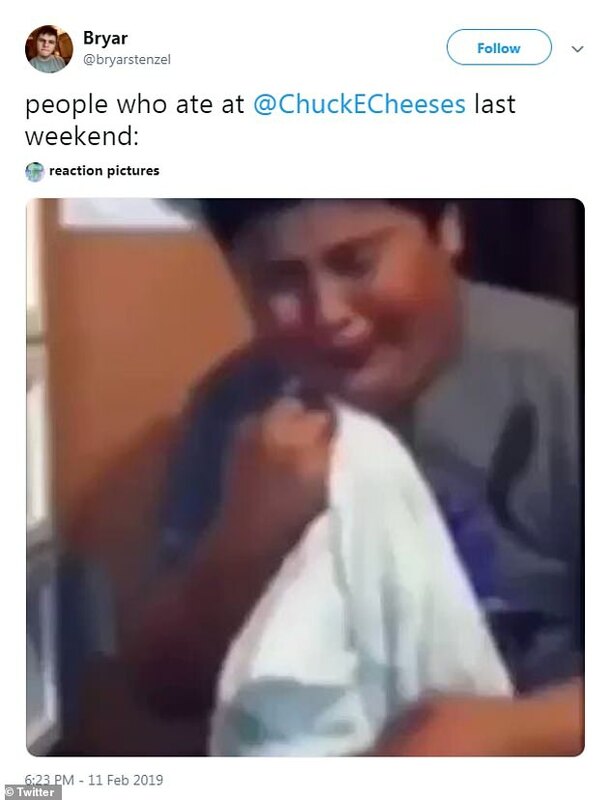 In the hour and a half-long compilation, he shares photos and videos of unappealing and disfigured Chuck E. Cheese's pizzas, and visits an eatery where he and his friends are stunned by what they witness. Dawson pointed out numerous signs around the Chuck E. Cheese's assuring customers that the pizza is 'freshly-made'. One sign on their table read: 'No frozen dough. No microwaves. Your freshly-made pizza will be ready soon!' The red plates also said: 'Handcrafted' and 'made fresh'. When their pizza finally arrives to the table, the men are stunned after witnessing the mismatched pieces in front of their own eyes. A spokesperson for the family entertainment center company shut down the claims this week. 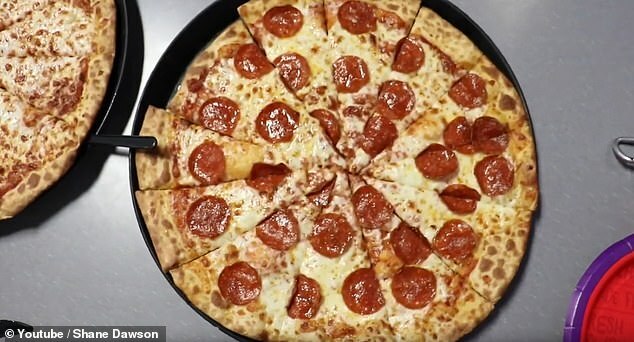 The company told BuzzFeed News: 'The claims made in this video about Chuck E. Cheese’s and our pizza are unequivocally false. Katherine Early, who worked at a Texas Chuck E. Cheese's for three years, made light of the allegations and told BuzzFeed: 'As far as the allegations goes, I think it’s actually pretty funny even though it is absolutely false. Early said that when the pizza tends to shrink when placed in the oven, causing the pies to vary in shape and size. 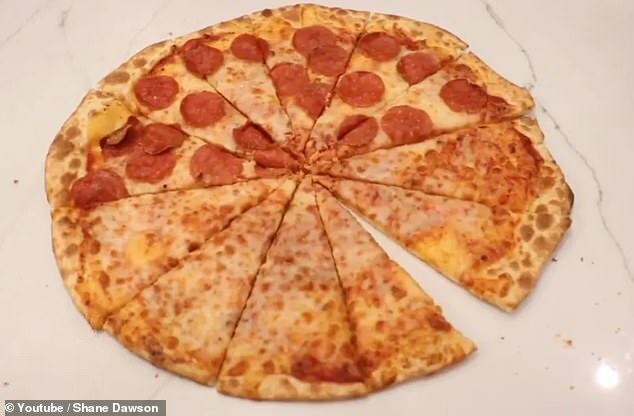 'It warps and depending on the amount of cheese or toppings there is variation in the size and shape, hence why the slices aren’t always the same length,' she added. Still, several skeptics online expressed their thoughts on the pizza. One claimed: 'Pizza that is not eaten (so I've heard) goes back into a dough grinder and eventually gets reserved as part of a new pizza. The YouTuber's latest conspiracy theory video received 10,757,599 views since it was posted Monday. i made pizzas for many years (round table) and never did one or two slices fail to line up with the rest of the slices. It is an individual store screw up.. I worked for them for a while as tech manager and know there is no reason to suspect corporate. Corporate has no say in how local shits handle life. They (corporate) do their best but this is crazy. It can happen anywhere in this crazy world. 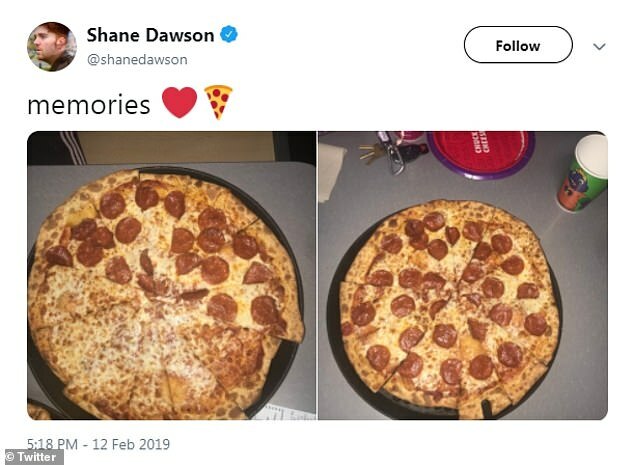 It's pretty obvious all he did was take a pizza, and rearrange the slices. You can tell this because you can match up the pepperoni slices on one pizza if you spend the time. 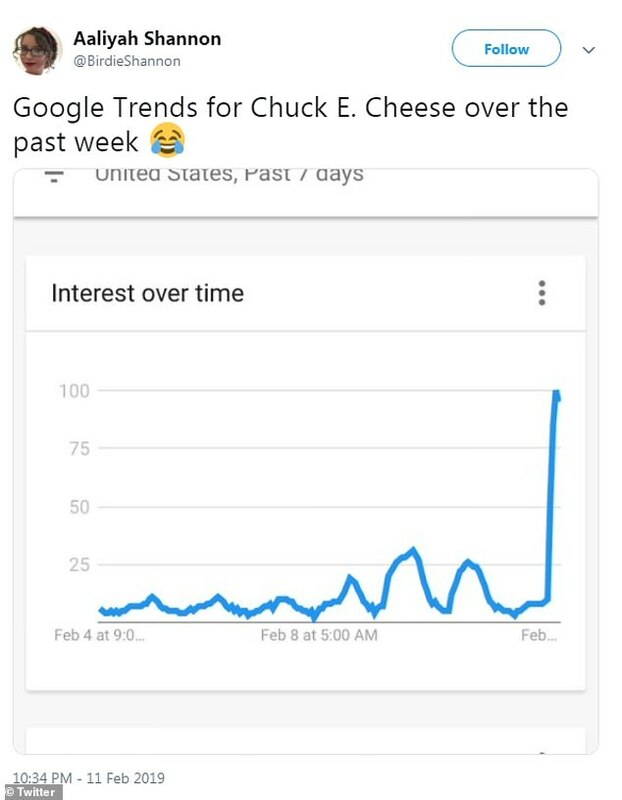 Chuck E Cheese should sue him for defamation and libel. He's obviously trying to hurt their business.